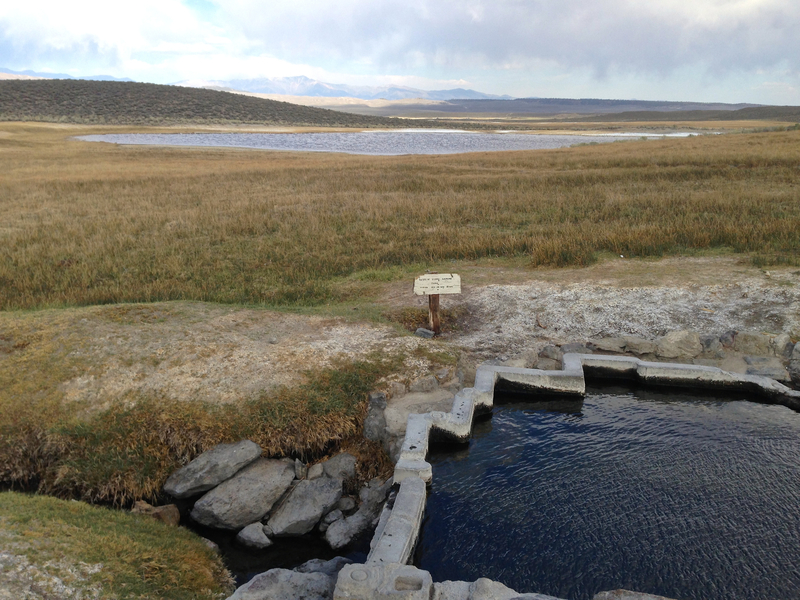 Surrounding Mammoth Lakes, CA, there are a number of popular natural hot springs that you can venture to for relaxing and healing those sore muscles from days spent on the slopes. Some are easier to find than others. The ones that are easier to find are of course, more popular and more crowded. There are a few different types of hot tubs, from public ones run by establishments, to “open” and “private” ones. If they are considered “open,” then it is considered okay to join other people if they are already in them (given there is space available). If they are considered “private,” then it is considered poor etiquette to just jump in while someone else is occupying it. Many of the “private” tubs are labeled this way because they are rather small, so it just wouldn’t be that comfortable if others jumped in. Be patient, wait your turn, it’s likely that the people using the tub had to wait too! 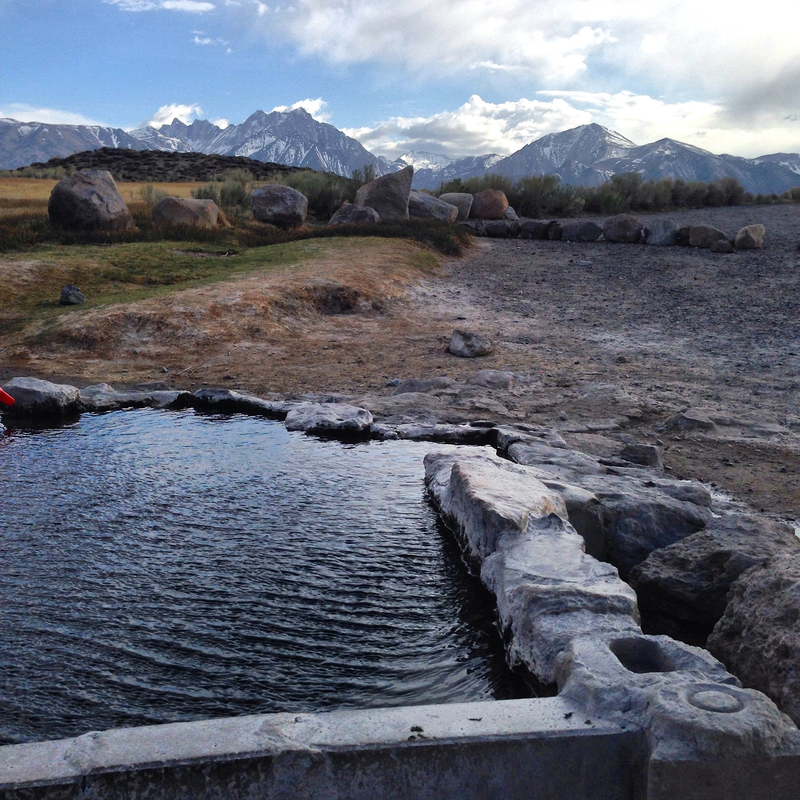 The public ones run by establishments are like Keough’s Hot Springs in Bishop (more like swimming pools). 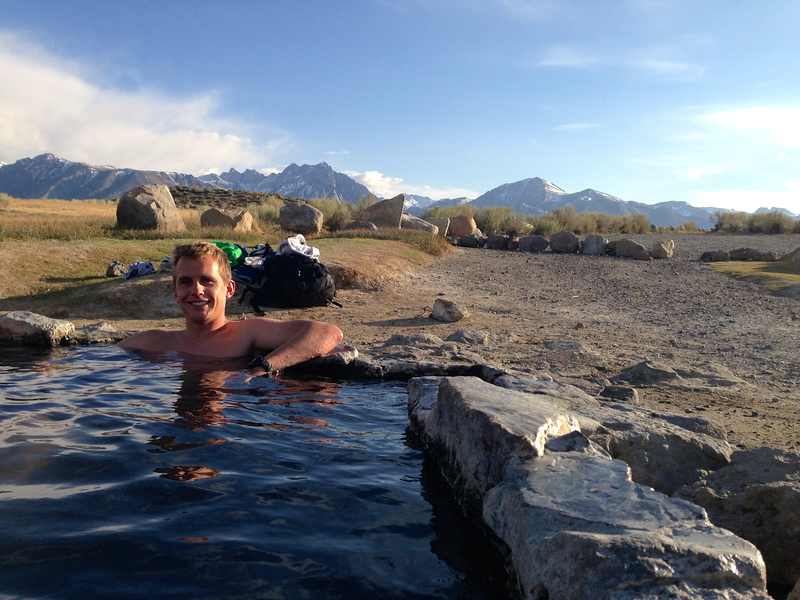 The hot tub that we went to in Mammoth was called Shepherd Hot Spring in an area known as the Whitmore Tubs. It is a little tub in a valley surrounded by mountains and near the edge of a gorgeous pond. We loved this private tub. We lucked out in being able to access it, as someone was in the tub when we got there. We went in search of another hot tub by foot near Shepherd’s called Crab Cooker, but we ended up not being able to find it. During our excursion, we noticed that the other couple had gotten out of the tub, and we could claim it if we got back! We hustled back, and claimed our stake, just in time, as a few cars came by during the time we were enjoying our soak. There is another bathing spot called Rock Tub is also down the same main road (prior to getting to Shepherd’s/Crab Cooker), and a good one to check if you’re in the area looking for a place to soak. Rock Tub is pretty small, and really only meant for 2. Also, Shepherd’s & Crab Cooker are set a bit farther down and off the road, so it offered more privacy. 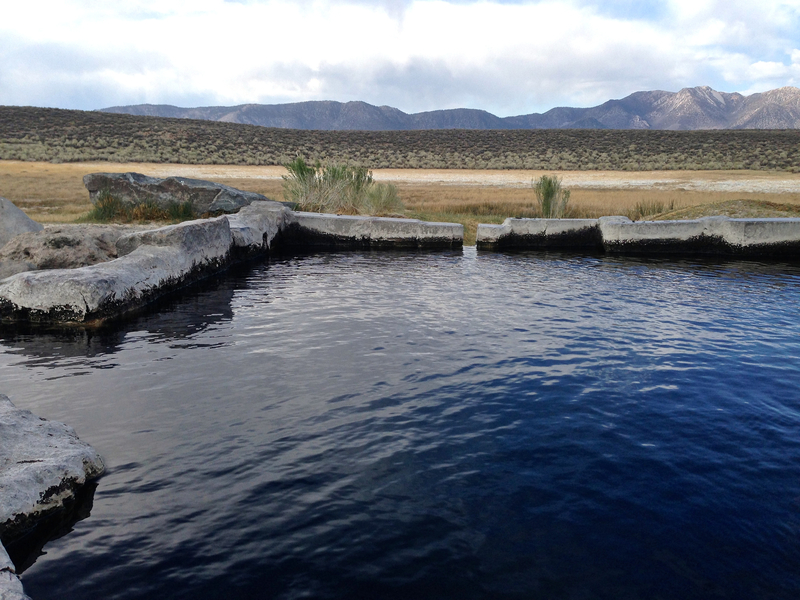 Some other hot springs in the area are Pulky’s Pool, Wild Willy’s/Crowly Hot Springs (a large tub for about 30 people), Lil’ Hot Creek and Hilltop Tub, but I think the Whitmore Tubs are the prettiest and most enjoyable experience, particularly for a couple. 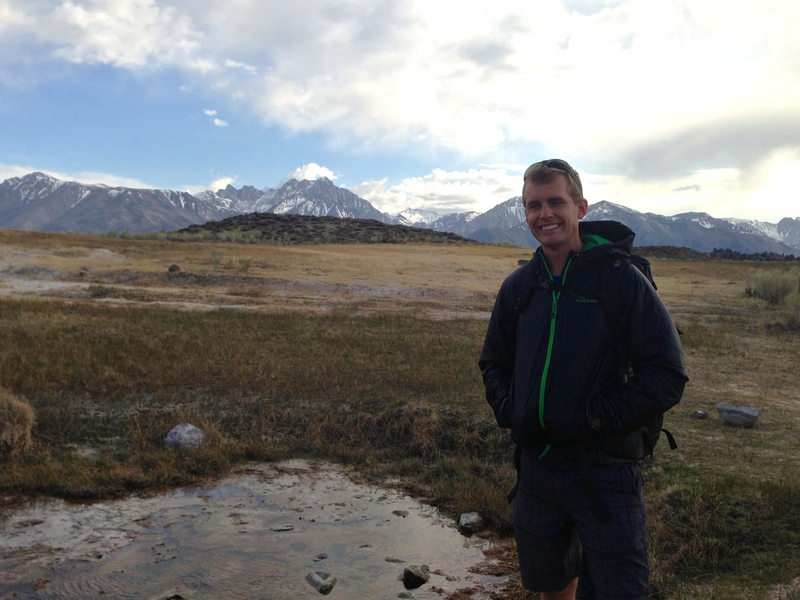 If you’re willing to drive a bit further, Bridgeport has some great options such as Travertine & Buckeye Hot Springs. They look pretty amazing, however, 6 hours was enough driving for us that day! If someone is in a private tub, respect their privacy and come back. Clothing is optional in the private tubs, but generally, if there are families/kids around, it’s considered proper etiquette to wear a bathing suit. Clean up after yourself! 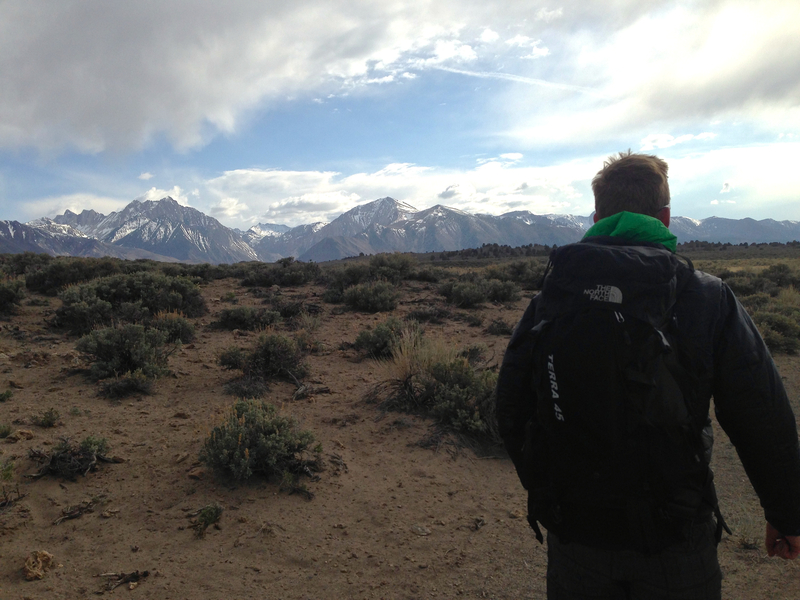 Don’t leave trash behind…who wants to look at that and ruin the beautiful views?? 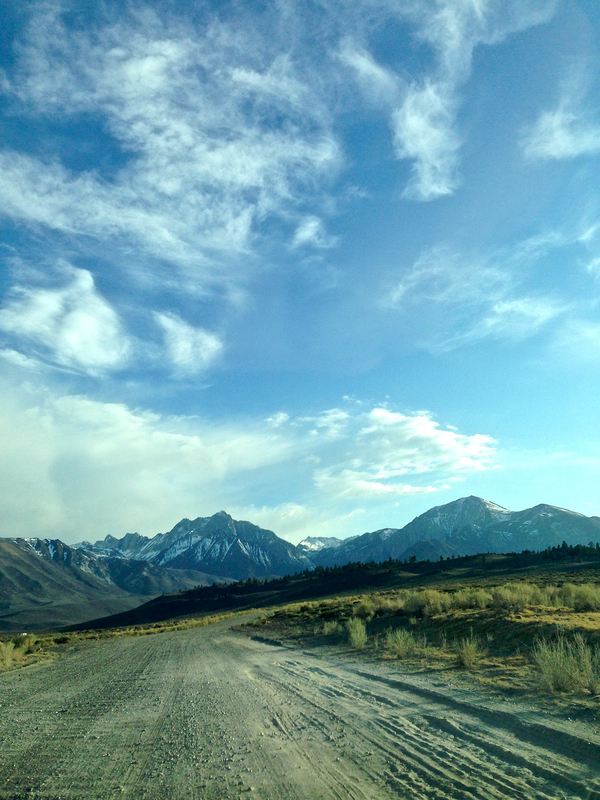 The private tubs are all accessed by mostly groomed, but unpaved roads. In the snow it could be difficult to access these hot springs without four wheel drive. 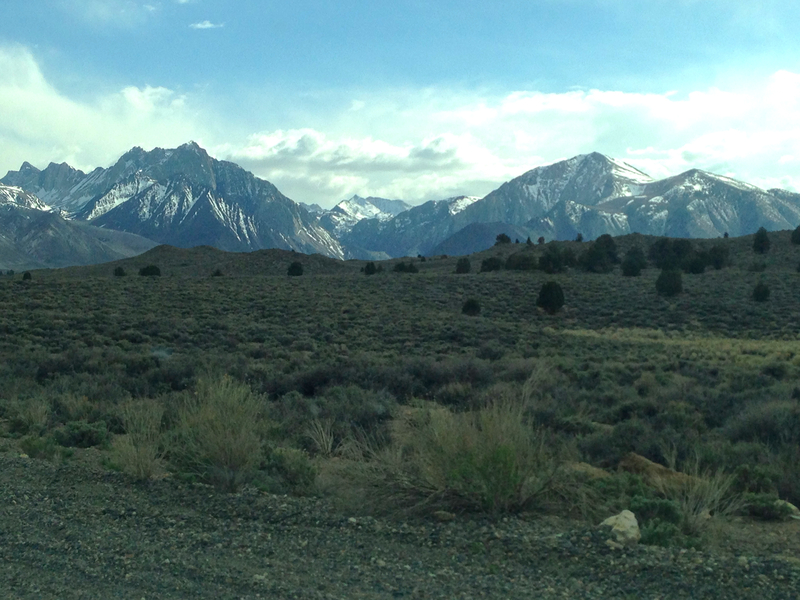 We were able to access them in our sedan (with no snow on the roads), but we drove very carefully! If you do see someone about to leave a tub, give them a bit of space to change (or put clothes on 🙂 ) and gather their things. You won’t want to be rushed or feel like you’re being watched either! Remember, these tubs aren’t actually for bathing! Don’t use soap in them. I would suggest testing the water temperature before you get in! They can get VERY hot. It might be a good idea to turn on the tap to run hot water before you get in to bring it to a temperature you like and to filter new water into the tub. Remember to turn off the tap that funnels the hot water into the tub when you leave. Private tubs can be hard to find in the peak snow season, and on the weekends. 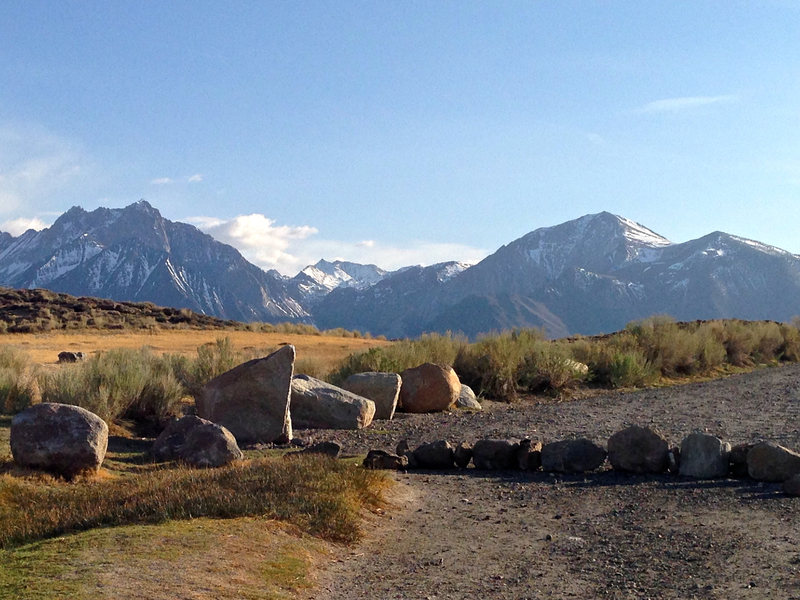 Unfortunately, for some reason it looks like the guide was taken down 😦 I found another site with directions to the shepherd hot springs here: http://www.outdoorproject.com/adventures/california/hot-springs/shepherd-hot-spring …hope that helps!